Weeks before the TV series ‘Holocaust’ premiered in Western Germany exactly 40 years ago, in January of 1979, a big discussion started. Critics said explaining the Holocaust on the basis of the fictional story of a family was a trivialization of history. Then the critics fell silent, since the airing of the four episodes had an effect, some 34 years after Nazi Germany’s unconditional surrender. 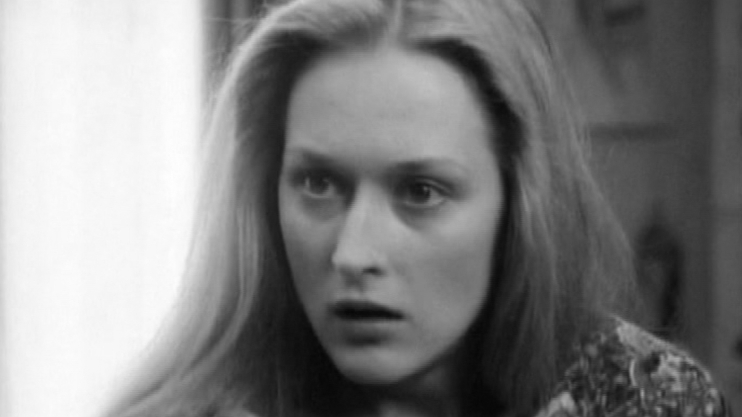 Twenty million Germans, a third of the Federal Republic’s population, followed ‘Holocaust’ with Meryl Streep, James Woods and many other would-be stars. Back then the Germans mostly suppressed its memories of the Nazi times and the Holocaust, during which millions of Jews and hundreds of thousands of Gypsies and homosexuals were murdered. The TV series had made the German people “collide with its past”, WDR television, a division of the nationwide ARD network, said. ‘Holocaust’ is the story of Karl Weiss, a German Jew (James Woods), and the non-Jewish Inga Helms (Meryl Streep) who get married in 1935. A few years later, most family members are being deported to concentration camps. Some become part of a resistance group. One member witnesses the massacre of Babi Yar, in which the Nazis murdered more than 33,000 Jews in September of 1941, while other parts of the family live in the Warsaw Ghetto before being deported. In the end, almost the entire family dies in Auschwitz and other death camps. ‘Holocaust’ also portrays Nazis responsible for the murders. One of them is a jobless, frustrated individual who becomes one of the main organizers of the murders committed in Auschwitz. Once the series had been aired by the ARD’s regional TV channels all over the Federal Republic of Germany, the entire country started discussing its past. More than 20,000 Germans even called those TV channels on the phone in order to talk about their terrible memories of the darkest times in history. Some of them admitted they had been part of terrible war crimes. The message conveyed by ‘Holocaust’: It can happen again, anywhere and anytime. Now those responsible for the rerun on the three regional TV channels NDR, WDR and SWR are hoping for the kind of effect the premiere had, in these times in which antisemitism in Germany is on the rise again. Physical and verbal violence against Jews is an almost daily occurrence in Germany today. In certain regions, such as around the western German city of Dortmund, but especially in Saxony and elsewhere in the eastern part, thousands of Nazis, mostly young, frustrated men, spread antisemitic and other kinds of racist propaganda. They stage concerts and protests. At times they attack asylum seekers and Jews. At the same time, the radical right, a party called ‘Alternative für Deutschland’ (AfD) is now part of the Berlin Bundestag and all 16 state parliaments. Several of its prominent members have said outrageous things about the country’s Nazi past and the way today’s Germany is trying to preserve the memory of those murdered. The MDR, the ARD’s division in eastern Germany, will not air the ‘Holocaust’ series in the Nazi stronghold Saxony, but residents can still view it via channels from other provinces. Jörg Schönenborn, the WDR’s TV director said he himself had seen the series at school in 1979, when he had been a teenager. “It was harrowing, I will never forget”, he stated. The series “brought the Holocaust into the collective awareness” of the Germans. The WDR will air the first episode tonight, on January 7th, 2019, at 10:00 p.m.. The same applies to the NDR, while the SWR in southern Germany scheduled the first episode on January 9th at 10:00 p.m.. When this article was published, ‘Holocaust’ was available on Youtube.